On 21 March 2016, Namibia celebrates 26th anniversary of its independence. 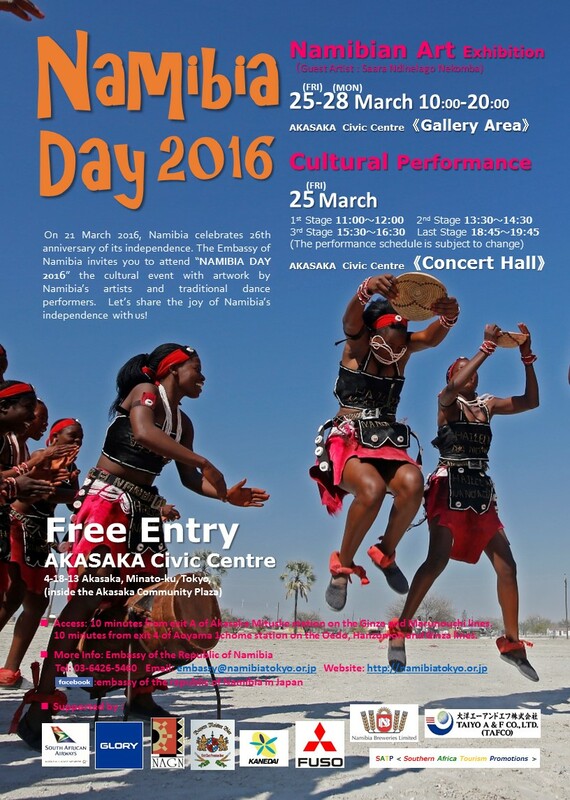 The Embassy of Namibia invites you to attend “NAMIBIA DAY 2016” the cultural event with artwork by Namibia’s artists and traditional dance performers. Let’s share the joy of Namibia’s independence with us!